That the same caddie looped for both 1929 U.S. Amateur champion Harrison Johnston and 1961 winner Jack Nicklaus? That Lanny Wadkins was drinking a beer when he found out he’d be playing in the first sudden-death playoff in Major Championship history? 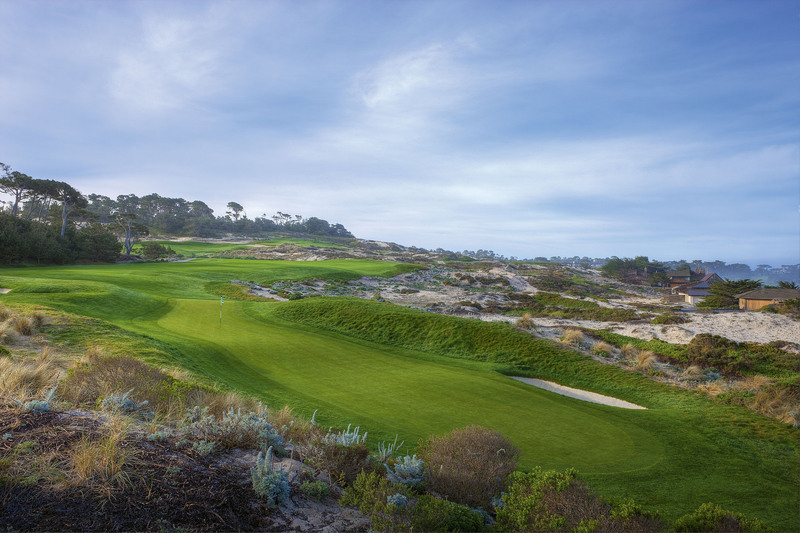 That Robert Trent Jones Sr. calls the fourth hole at Spyglass Hill his favorite par-4 he’s ever designed? 51. THE 1929 U.S. AMATEUR WAS INSTRUMENTAL TO THE CREATION OF THE MASTERS. All was not lost for Jones during his trip to Pebble Beach. While out West, Jones made substantial inroads with Alister MacKenzie, the architect of nearby Cypress Point and Pasatiempo. Jones soon tapped MacKenzie to design a new club for him in his home state of Georgia — Augusta National. The first Masters was played in 1934, months after MacKenzie died. 52. THIS RECOVERY HELPED HARRISON JOHNSTON WIN THE 1929 U.S. AMATEUR. In the 36-hole finals, Harrison Johnston played his third shot on No.18 from the physical Pebble Beach that gives the area its name. He salvaged a par to halve the hole, and went on to beat Oscar Willing 4-and-3. 54. PEBBLE BEACH BECAME THE FIRST PUBLIC COURSE TO HOST A U.S. OPEN. The U.S. Open was played 71 times at private clubs before the USGA made Pebble Beach the first public-course host in 1972. The deal was pushed across the finish line shortly after Samuel Morse died in 1969. Concerns from the USGA about the conditioning of a public course and Pebble Beach’s proximity to a major city were alleviated after an epic U.S. Open. 55. JACK NICKLAUS CLINCHED THE 1972 U.S. OPEN WITH A SHOT HE SAYS HE COULDN’T HIT AGAIN. That shot was a wind-shaped 1-iron at No. 17 that short-hopped the flag-stick for a championship-clinching birdie on Sunday. “The shot I performed, I don’t think I could ever do again,” Nicklaus said. 56. LANNY WADKINS WON THE FIRST SUDDEN-DEATH PLAYOFF IN MAJOR CHAMPIONSHIP HISTORY: Lanny Wadkins began the final round six strokes off the lead, but shot a 2-under 70 to catch Gene Littler, who closed with a 76. The two both made pars on No. 1, and matching birdies on No. 2. Each then missed the green on No. 3, but only Wadkins was able to get up-and-down, holing a slick 4-footer to clinch the championship. 58. TOM WATSON CALLED HIS CHIP SHOT AT THE 1982 U.S. OPEN. Tom Watson was tied for the final-round lead with Nicklaus as he stood over a chip-shot on No. 17 in bushy Kikuyu rough. Caddie Bruce Edwards encouraged Watson to get it close. Watson fired back, “I’m going to sink it.” Watson did, and burst into an impromptu victory lap around the green. 59. NICKLAUS ALMOST WON THREE PROFESSIONAL MAJORS AT PEBBLE BEACH. While the 17th hole at Pebble Beach is associated with one of the greatest shots Jack Nicklaus ever hit, it also robbed him of two more Major titles. In the 1977 PGA Championship, Nicklaus reached the 17th hole tied for the lead, but his 3-iron missed the green, and he took a bogey to fall one shot out of an eventual playoff. Nicklaus was once again tied for the lead when Tom Watson reached the 17th hole at the 1982 U.S. Open. Watson heroically chipped in to prevent Nicklaus from capturing a record fifth U.S. Open. Nicklaus still managed to win 1961 U.S. Amateur, 1972 U.S. Open and three Bing Crosby Pro-Ams at Pebble Beach. 60. THE FINAL ROUND OF THE 1992 U.S. OPEN MIGHT HAVE BEEN THE MOST DIFFICULT EVER PLAYED. Sustained winds of 40 mph ripped through the course. Only one professional golfer in the final 15 groups was about to hit the green on the 106-yard seventh hole. “You talk to the players, and almost to a man they consider it one of the most difficult days they ever played golf, especially for those of us who went off late,” Kite later reflected. 62. TIGER WOODS PLAYED BETTER AT THE 2000 U.S. OPEN THAN ANYONE EVER HAS ON AMERICAN SOIL: Woods was ruthlessly dominant, tying or setting nine U.S. Open records – including the biggest lead after two rounds (six shots), three rounds (10 shots) and four rounds (15 shots). His play transcended eras, as the previous record for margin-of-victory at any Major was set during the American Civil War. Woods tied the all-time scoring record at a U.S. Open when nobody else in the field broke par. He also opened the tournament with a 65, the lowest score ever shot at Pebble Beach during a U.S. Open. 63. 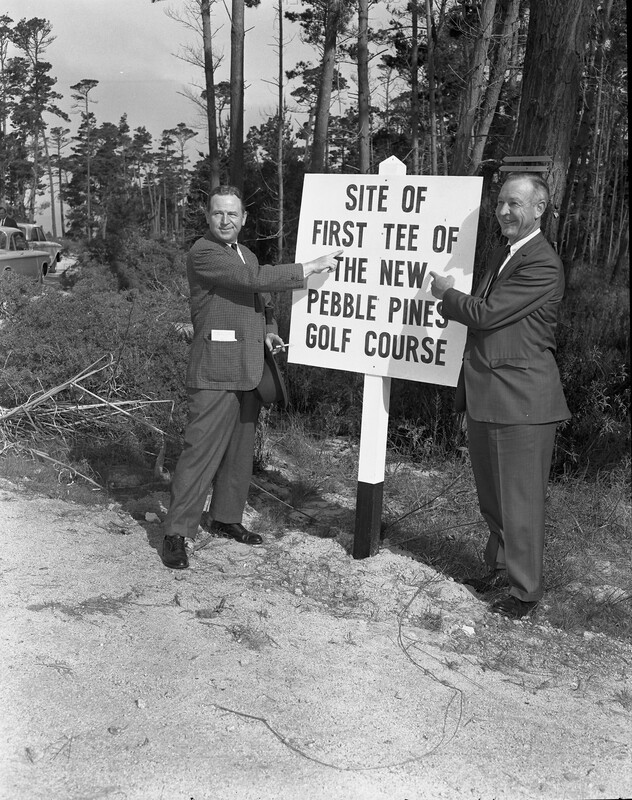 THE WORKING TITLE FOR SPYGLASS HILL WAS PEBBLE PINES. The name was soon swapped out for a pirate theme. 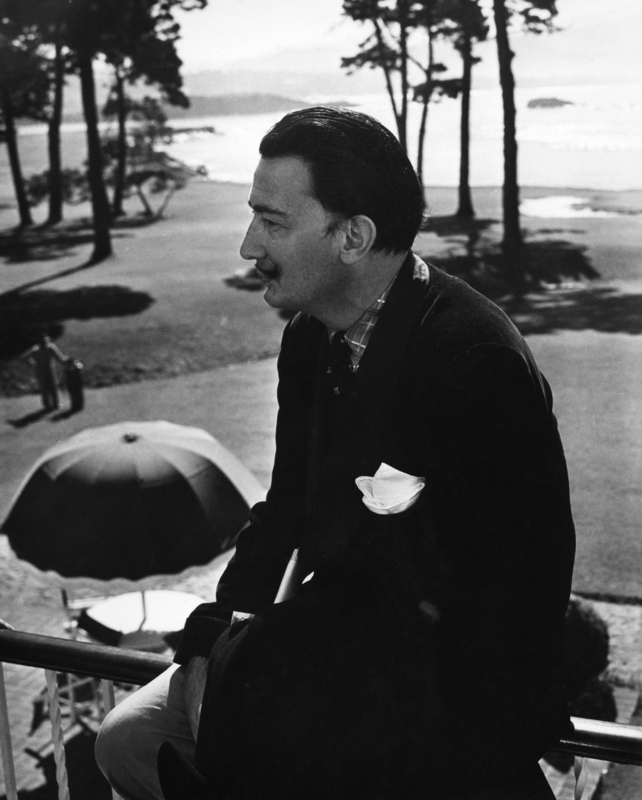 Robert Louis Stevenson was said to have traversed the dunes that became Spyglass Hill, and the location was his muse for the Buccaneers and buried gold in his classic novel Treasure Island. The name of the course, as well as each hole, was inspired by Stevenson’s book. 64. 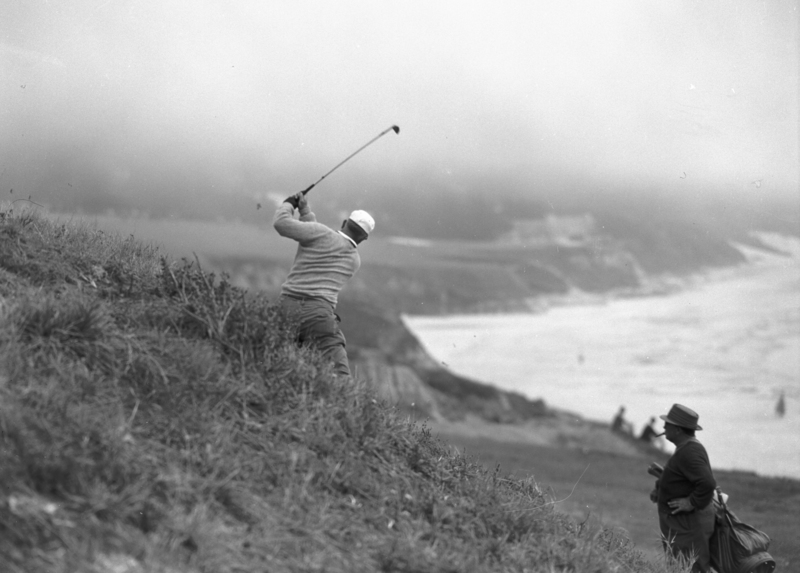 ROBERT TRENT JONES HAD PINE VALLEY AND AUGUSTA NATIONAL IN MIND WHEN HE CREATED SPYGLASS HILL. Jones says, “The first five holes, starting from deep in the woods and heading immediately to the sea, demand target golf through sandy wastes, deliberately reminiscent of Pine Valley, but with water in the background and buffeted by the ocean winds. The rest of the course winds through towering Monterey Pines and cypress in the Del Monte Forest, and is deliberately reminiscent of Augusta National.” Jones created the 11th and 16th holes at Augusta National. His 12th hole at Spyglass is an homage to No. 16 at Augusta. 65. JONES CALLS THE FOURTH HOLE AT SPYGLASS HIS FAVORITE PAR-4 OUT OF ALL THE COURSES HE’S EVER DESIGNED. That’s saying something. Jones worked on more than 400 courses, but none feature such a dramatic green, a slithering 55-yard strip of bacon just 30 feet wide at its meatiest. 66. 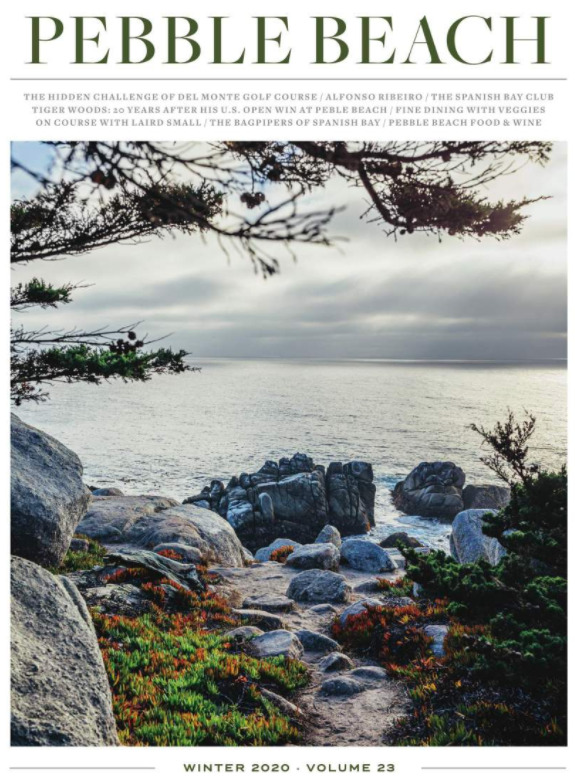 SPANISH BAY WAS AN ABANDONED SAND MINE BEFORE IT BECAME THE INN AND LINKS: After watching his father build a links experience through the dunes of Spyglass Hill for its first five holes, Robert Trent Jones, Jr. wanted to do the same — but for 18. He had the unique opportunity to do so just a couple courses down 17-Mile Drive when an abandoned sand-mine-turned-eye-sore became available. “It was a once-in-a-decade site,” Jones said. 67. THE SAND FROM SPANISH BAY ONCE REPLENISHED WAIKIKI BEACH IN HONOLULU. The mine shipped sand to golf courses around the country, and once even to Waikiki after a severe storm. 68. 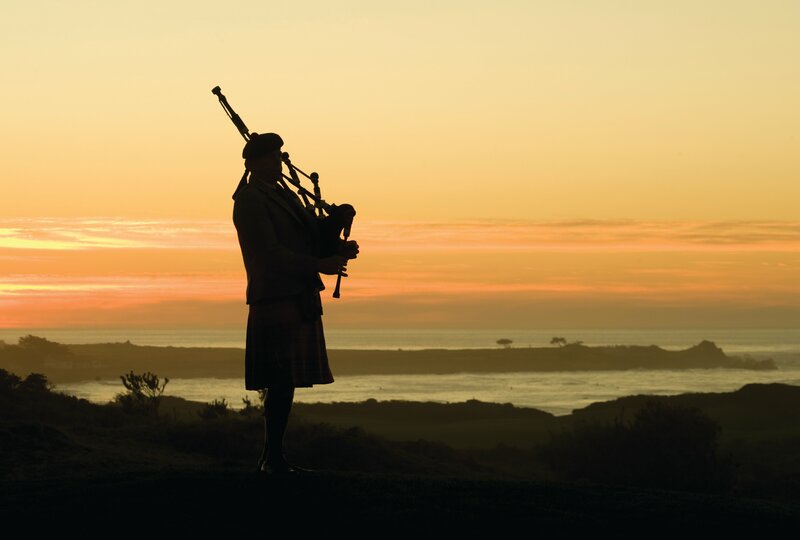 THE BAGPIPER PLAYS AT SPANISH BAY EVERY NIGHT BECAUSE OF A QUOTE FROM TOM WATSON: Five-time British Open winner and co-designer Tom Watson opined about Spanish Bay, “It’s so much like Scotland, you can almost hear the bagpipes.” A tradition was immediately born, as a bagpiper puts the Top 50 public course to sleep every evening. 69. DEL MONTE IS THE OLDEST GOLF COURSE IN CONTINUOUS OPERATION WEST OF THE MISSISSIPPI. It opened as a nine-hole course in 1897 measuring just 2,219 yards. 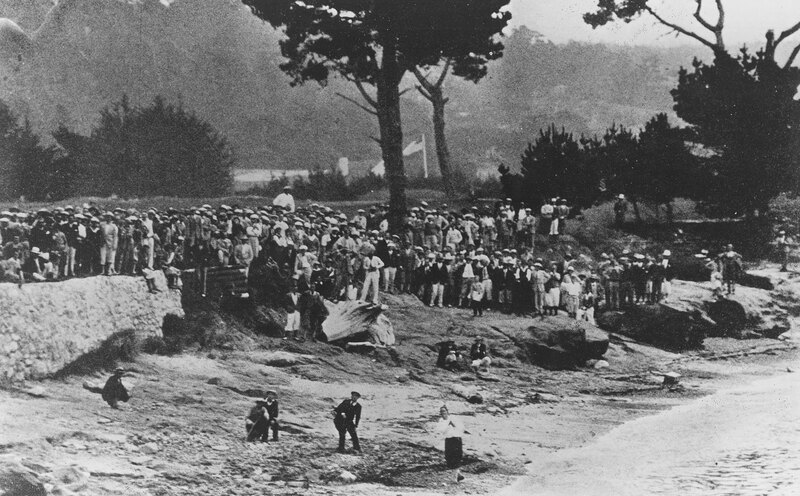 In 1903, Del Monte became one of the first 18 hole courses in California. Del Monte has resided on the same piece of property ever since, making it the oldest golf course West of the Mississippi continuously played on its original site. 70. 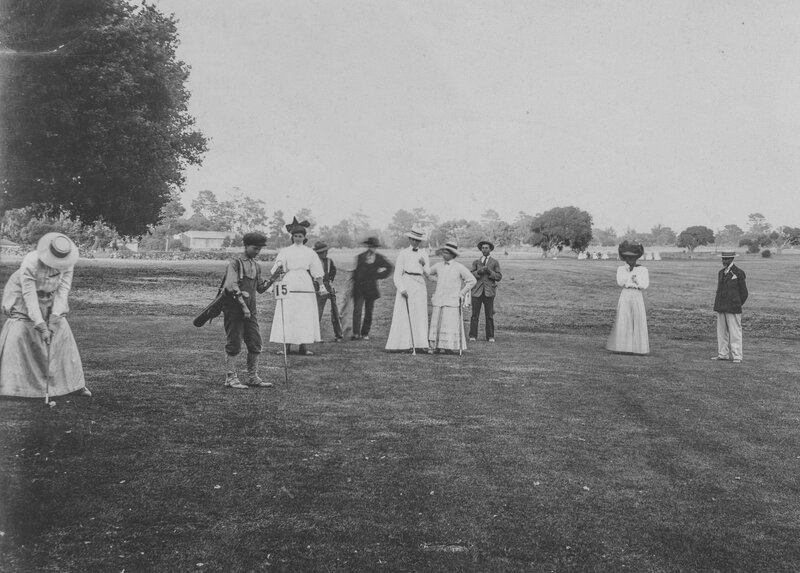 THIS WAS GOLF ATTIRE IN 1909. These women are competing in the Del Monte Championships, which was one of the most prestigious events in the state. 71. DEL MONTE IS THE BIRTHPLACE OF THE CALIFORNIA STATE AMATEUR. The winner of the annual Del Monte Championship was unofficially considered the best golfer in the state. So in 1912, it became official, when the tournament spun off into the first California State Amateur. In 1920, the “second course” at Del Monte shared the stage as a co-host. 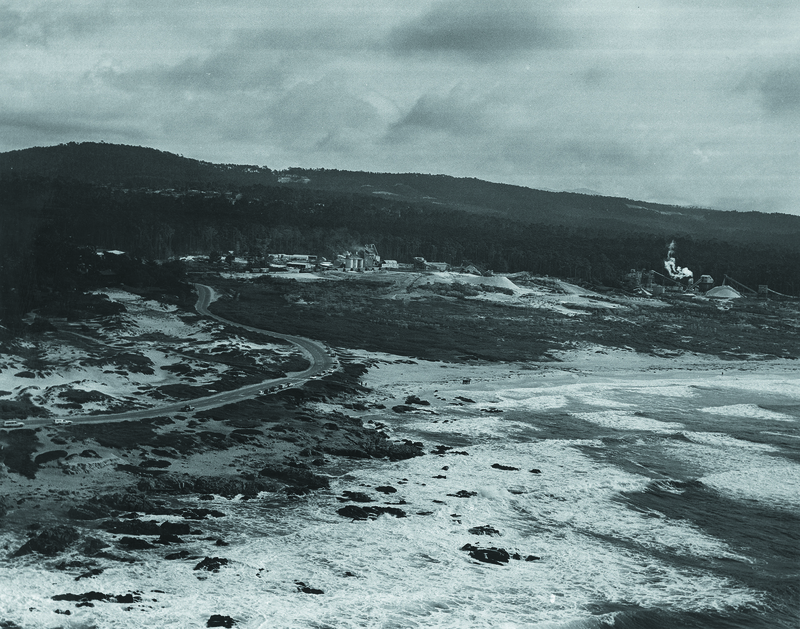 Del Monte’s Second Course was later renamed Pebble Beach Golf Links. 72. BEFORE THE U.S. AMATEUR CAME TO PEBBLE BEACH, THE WESTERN AMATEUR ARRIVED AT DEL MONTE. The prestigious 1916 Western Amateur was hosted at Del Monte, marking the first time the event was played west of the Continental Divide. The tournament rivaled the U.S. Amateur in stature, and introduced the golfing world to the Monterey Peninsula. 74. TO CELEBRATE THE REPEAL OF PROHIBITION, MORSE PUBLISHED A CELEBRITY COCKTAIL RECIPE BOOK FROM PREVIOUS GUESTS CALLED ‘THE NATIONAL ASSOCIATION FOR ADVANCEMENT OF THE FINE ART OF DRINKING.’ Drinks included Ernest Hemingway’s Death in the Afternoon (gin, juice of fresh lemons and limes, crème de menthe and bitters) and the Marx Brothers’ Honeymoon Punch, as well as contributions from many more famous guests. 75. PHIL MICKELSON’S GRANDFATHER CADDIED AT PEBBLE BEACH. 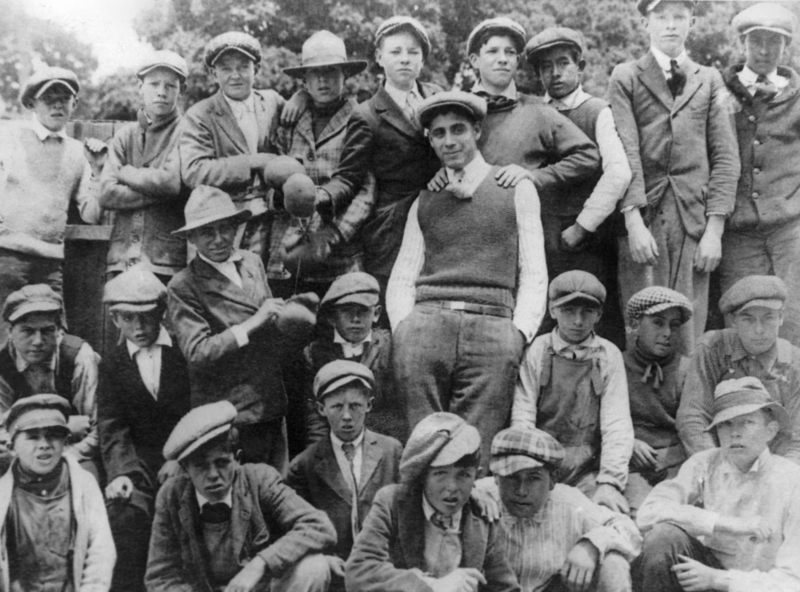 This motley crew of caddies mugging for a photo at Del Monte Golf Course includes Phil Mickelson’s grandfather — Al Santos (bottom row, second from the left). Jim Nantz shared a touching story about how Santos was an original caddie at Pebble Beach Golf Links when it opened in 1919. Every year when Mickelson plays in the AT&T, he uses a Morgan Head Silver Dollar that belonged to Santos to mark his ball.